At ThinkInsure we know that your business is different. Our business insurance experts will ask the right questions and to help you get the best coverage for your business needs. With our large insurance partner network we can offer unique and flexible coverage options and shop for the lowest rates. Discover the ThinkInsure Broker Advantage and see why so many Ontario businesses trust ThinkInsure to be their commercial insurance broker. Savings : We can save your business money. We will shop & compare your insurance needs with our large partner network to get you the lowest rates and save you money. Selection : Flexible coverage options. We partner with over 40 insurance companies which allows us find you custom tailored insurance solutions designed to meet your business needs. Service : Customer satisfaction is our top priority. We are experts in business insurance. We will work very hard to make sure all your insurance needs get taken care of in a prompt and professional manner. Made Easy : We strive to make insurance easy for our customers. Our team of business insurance brokers is there to make all aspects of insurance as easy as possible for you. Getting flexible & affordable insurance that is tailored for your business is easy with ThinkInsure. Request a quote OR call toll-free 1-855-550-5515 and a business insurance expert will be happy to help you. Why Do I Need Business Insurance Coverage? There are well over 1 million employer businesses in Canada, with more than 40% of those companies residing in Ontario. That is a lot of businesses. What do all of these businesses have in common? The need for reliable commercial insurance to protect your best interests. Business insurance protects your investment in your company. You’ve put in countless hours of work, invested your hard earned money, and done everything you can to make your business a success – business insurance coverage ensures you stay successful and that your business is protected. No business owner wants the future of their company to be at risk because of an unforeseen accident or event. Business insurance ensures your business is covered! Perhaps most importantly – business insurance gives you the peace of mind in knowing your business is protected now and into the future. The business insurance experts at ThinkInsure know that each business is different and needs different types of commercial insurance solutions to be properly protected. Some businesses may be exposed to higher risks than other businesses because of the type of industry they are in or the number of employees they have. No matter the type or size of your business, we will work hard to get you the best coverage for your needs. Talk with one of our commercial insurance experts today to learn more about how we can help you protect your business. Business insurance rates are unique to your specific business. Every business has a unique combination of insurance coverage needs. The products and services offered, the size and number of employees you have, your industry and the risks you face will all play a role in determining business insurance cost. With so many variables at play, to ensure you get the best business insurance rates and save money on your policy, it is best to shop around for business insurance quotes. We’re happy to help you with this process. After all – it’s what we do best! 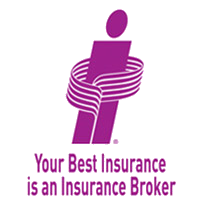 Working with a broker who specializes in business insurance quotes is the best way to compare your options. Shopping around for insurance is the best way to explore the market, see what insurers have to offer your business and compare your business insurance policy options. At ThinkInsure, we can help you compare business insurance quotes online. All you need to do is request a business insurance quote, and we will help you find dependable and affordable business insurance. Compare business insurance quotes today and start saving now! Call toll-free 1-855-550-5515 and a business insurance will be happy to help you or request a quote online. Every small business in Ontario can benefit from business insurance coverage. Whether you are a small retailer, up and coming marketing firm, home contractor, hairdresser, or operate a home-based business, business insurance will protect your investment in what you have built. Learn more about how our insurance experts can help you get small business insurance in Ontario. If you or your employees drive, then you need affordable commercial auto insurance you can rely on. The last thing you want to happen is have an accident and have it put your business at risk. At ThinkInsure, we work with business owners to help them compare commercial auto insurance options and find coverage that make sense for their business. Whether you have a business in Toronto or anywhere else in Ontario, we can help. Learn more about commercial auto insurance in Ontario. Your place of business is one of your most important assets, and you need to ensure it is protected with commercial property insurance coverage. We understand that choosing the right level of commercial property insurance can be difficult – how much coverage should you choose? Which types of coverage do you need? Which coverage makes the most sense for your business? We offer flexible insurance options to ensure you get the right commercial property insurance for your business. Talk with one of our insurance brokers today to learn more about commercial property insurance options. Assistance choosing insurance products that make sense for your business. Options – brokers can help you compare commercial insurance products from multiple insurers in Ontario. At ThinkInsure, our commercial brokers in Ontario want your business to thrive. Let us help you protect your business. Get a business insurance quote and have the peace of mind in knowing you are protecting your investment. How Does Commercial Insurance Help My Business? These benefits are commonly overlooked by business owners, however, they also play a key role in the overall development and growth of your company. What Are The Top Risks To My Business? Business interruption : every minute that your business is not open during normal business hours puts your company at the risk of lost revenue, lost customers, and incurring loss. Climate change : with unpredictable weather increasingly becoming the norm, your business needs to have a business continuity plan and take steps to prepare for weather events and natural disasters. Cyber liabilities : data breaches, identity theft, and ecommerce issues are increasingly important risks for which to have protection. These and other risks all pose a threat to your business. We can help you mitigate these risks by helping your choose a commercial insurance plan that addresses all your business needs. Discover why many Ontario businesses are turning to ThinkInsure for their insurance needs. Request a business insurance quote or call toll free 1-855-550-5515 and a ThinkInsure broker will be happy to speak with you about your needs!